Have you heard these words; “Shincha” and “Ichibancha”? “Shincha” literally means “new tea” and “Ichibancha” means “the 1st tea of the year”.Usually, both words refer to “Sencha”. Even Japanese often mix them up. Shincha is spring tea of the year. The fresh and greenish aroma is the key character. But this kind of aroma is very delicate and won’t last that long. 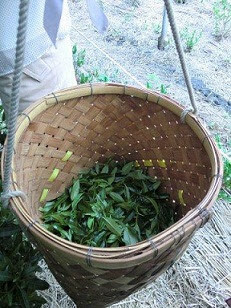 In order to enjoy the fresh aroma, we are often told that we should use up the tea until the end of the rainy season, which is around the mid of July. After this, the freshness will disappear. So we don’t take the tea as Shincha anymore. Ichibancha is the 1st flush tea of the year. It sounds the same as Shincha. That’s true in a way. Before the rainy season, we can call the 1st flush tea “Shincha”, but after that, we don’t. It can be called “Ichibancha”, but not “Shincha”.Does it make sense? Let me put it this way. Let’s say, there is a tea plucked and processed this spring. Now (as of 2016 December) we can say, “ This is Ichibancha of 2016”, but not “2016 Shincha.” because our rainy season has gone. Shincha is a part of Ichibancha and a word for limited time. Don’t get disappointed. 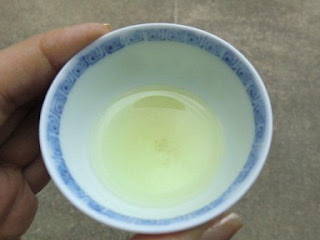 Shincha will lose “the fresh aroma” around the mid of July every year, but it can be matured well and it creates more body if it is stored properly. For the time being, try Ichibancha 2016 if you still have. 2017 Shincha will be ready in about four months.